Our smiling faces tell it all. 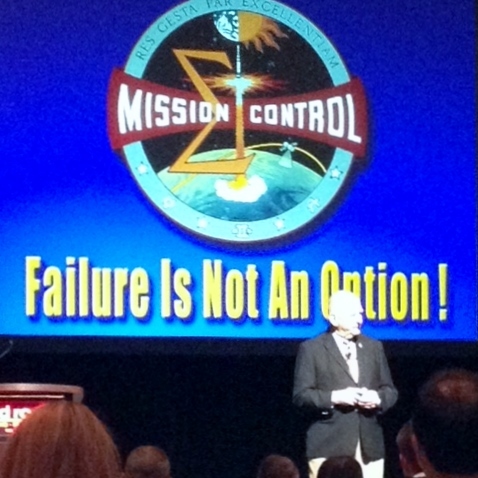 The DCS Conference we attended last week at the Red Rock Resort in Las Vegas, NV, was very worthwhile and enjoyable for both of us. 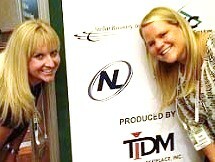 We were proud that NL was one of the sponsors. Kacey: DCS (Debt Connection Symposium and Expo) is a great networking event and is always held in a superb location. The Red Rock Resort provides all the amenities (including a bowling alley, cinema and beautiful reception rooms) a conference-goer could ask for. DCS was organized by Dennis and Judy Hammond, along with Resource Management Services, Inc. (RMS), to provide attorneys, debt buyers, collection agencies and vendors the opportunity to network with one another through sessions, roundtables, panels, debates and fun activities. Educational sessions: Workshops: “Third Party Vendor Auditing” and “Preparing for the CFPB;” Panels: a CFPB and an FTC representative answered anonymously-asked questions about the industry, a panel of “trusted advisors” focused on “Dormant judgment and Asset Locate,” and another panel focused on debt buying industry challenges and concerns; Roundtables; and Fast Track Presentations, which are five-minutes sessions on “best ideas” presented by a variety of creditors, agencies and vendors. Networking opportunities: Because the location had all the amenities right there, I frequently ran into fellow conference attendees I wanted to talk with, whether it was over a cup of coffee, during breakfast in the exhibit hall, running in the annual “Red Rock Walk/Run” event, or in the multiple casual sitting areas. Verifacts hosts an annual Summer Splash Poolside BBQ and Networking event that provides a casual setting where attendees can come and relax and enjoy poolside games. Dennis and Judy Hammond host a great speed-networking event that provides 30+ meetings in 30+ minutes with all attendees, giving you an opportunity to have a minute one-on-one with a potential prospect &/or vendor. The annual bowling event is all about fun, food and networking. Following the team bowling event is an after-hours party hosted by FH Cann at the hotel night club. To wrap up the conference, there is a fabulous BBQ and networking event. Networking is my favorite part of any conference, and DCS offers an array of networking opportunities to suit everyone. Katie: This was my first time attending the DCS Conference, and I was excited to represent NL/NLAC, see some new faces and meet new people! The hotel was beautiful, the sessions were informative and the activities were well organized and beneficial as well as fun. One of the sessions I attended was “Preparing for the CFPB: Examinations, Investigations, Consumer Complaints and Rulemaking.” This was a four-hour session given by Bob Belair, Dave Felt and Bev Evancic. It was an open forum format, and the audience was able to voice their concerns and ask questions. The speakers ended the session with a mock trial, where they each played the role of a CFPB examiner, a compliance officer and a company owner. This was my favorite portion of the session, because they used real life examples and provided expertise on how to prepare for an examination. I recommend that all of our law firms and clients visit the CFPB website – http://www.consumerfinance.gov/. And be sure to attend DCS next year! Reading this post brings back a lot of good memories! Please tell all my friends Hello for me! I hope everyone is doing well.